Can facial recognition technology help protect our skies? U.S. Customs and Border Protection (CBP), as part of the U.S. Department of Homeland Security (DHS), began a new pilot facial recognition-based security program for international U.S. travelers at the Washington, D.C. Dulles airport on March 11. Over the next couple months, the CBP will use the technology to detect those trying to travel with a passport that does not belong to them. Predictably, though, some of the details behind the new data-driven security effort have privacy advocates worried that federal agents are too invasive with law-abiding U.S. citizens. Here’s how the new program, unceremoniously named “1:1 Facial Recognition Air Entry Pilot,” works. Customs officers at Dulles will randomly select travelers returning to the U.S. from foreign countries for participation. If selected, an agent will take your photograph and digitally analyze it against the picture stored in the chip inside your passport. If the match confidence score is low, an agent may pull you aside for further screening at their discretion. Otherwise, you’ll be sent on your way. The entire process is estimated to take just five to seven seconds per traveler to complete. Participation in the pilot, if randomly selected, is mandatory. The public-facing portion of the CBP pilot program will only last for a couple months, but the agency will keep the photographs taken for at least nineteen months. The agency has promised photos will be deleted after that time unless they become part of a criminal investigation. And they’ll only be used inside the DHS for the purposes of studying the effectiveness of the facial recognition in this security context. But as Vice’s Motherboard notes, the U.S. government has had some problems telling the full truth about programs like this in the recent past. In 2010, it was discovered that the TSA’s graphic full-body scanners were designed to have the capability to store and transmit images of travelers, despite multiple reassurances that this was not the case. And even if this pilot is limited, full implementation of the technology in the future could easily be a different story. 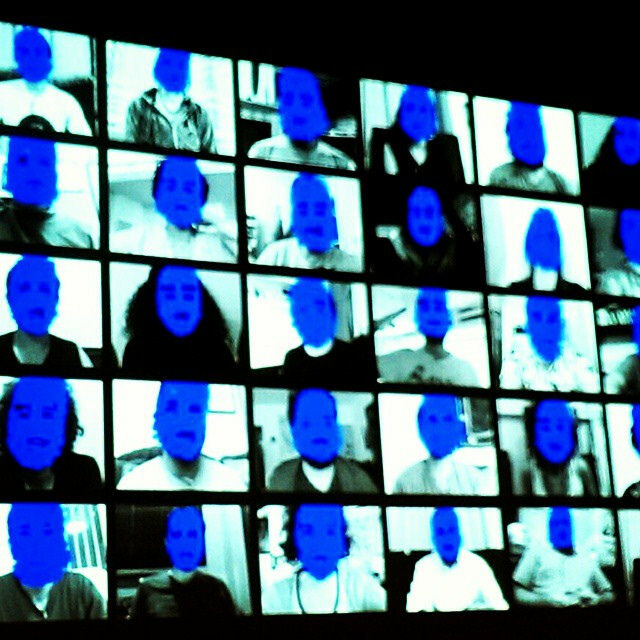 We already know that the FBI is building its own facial recognition database with over 52 million images. You can read more about the pilot program over at Vice’s Motherboard blog. This article was written by Fox Van Allen and originally appeared on Techlicious.